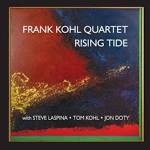 “Rising Tide” is the fourth album for Frank Kohl on which he is leader. The guitarist teams up with bassist Steve LaSpina, pianist (and brother) Tom Kohl and drummer Jon Doty to play jazz with a rock and roll attitude. So far, this is the least sentimental jazz release I have heard this season, and that is saying quite a bit, as the releases that I have been able to listen to thus far have had an unsentimental quality to them. Which is not to say they have not been emotional, but they have not gone easy on listeners, they have demanded a respect for emotion without being schmaltzy. And even among those fantastic releases, there is something to be said for taut, instrumental jazz. The song “Rock and Roll” takes all the jazz-influenced rock music I know, or so it seems, and gives it back in a form that could be called “jazz with teeth”, if such a term would catch on. Hints of Van Morrison, Steely Dan and Phish can be heard in this song, in a way that is both endearing and danceable, if the latter is the goal. “Rising Tide” the title track, makes masterful use of the upright bass, and the shimmery clash of cymbals give rise to the roll of drums to get the mood just right. 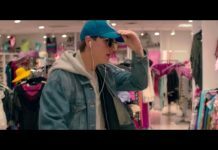 Maybe the success of the release’s sound is Kohl’s west coast approach. 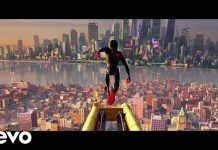 It is not quite the same as New York jazz, of any period, yet, there is something traditional about the work that holds all the pieces together in a thematic melding that defies geographic distinctions. “With Tears of Joy” is almost pop-like in its structure. 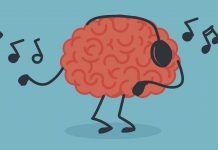 So much that some listeners might expect vocals to saunter out of the rhythm to provide the melody, but that does not happen, and it is just as well. The crisp swagger of this tune could make it a favorite among jazz fans. Just as the tide has its mercurial way, so does the kinetic quality of this album. There are no lullabies, but the songs that are not taut rockers are obviously different, and it gives astute listeners the feel of a changing tide. Songs like “Richman, Poorman”, “Love Letters”, “Late Night” and “My Romance” sound less pop- and rock-influenced, and they still work. The album is a controlled but careening ride, and a different pace is what listeners need after a while. Still, it was nice to hear jazz’s young, brash cousins, rock and pop, weld their influence on jazz, even for only part of a release. The effect made the recording sound contemporary and uncompromising.